Ad Infinitum Adventures is happy to announce that the Great Power and A to Z sourcebooks for Icons Superpowered Roleplaying are now available in premium hardcover format from DriveThruRPG and RPGNow! This is in addition to the previous softcover standard and premium color formats for both books. Additionally, the Great Power sourcebook has been revised and updated for compatibility with the Assembled Edition of Icons. The previous Kickstarted edition of Great Power was a “bridging” book between the original edition of Icons produced by Adamant Entertainment and the Assembled Edition produced by Ad Infinitum Adventures and printed and distributed by Green Ronin Publishing. All owners of Great Power receive a PDF of the revised version for free. 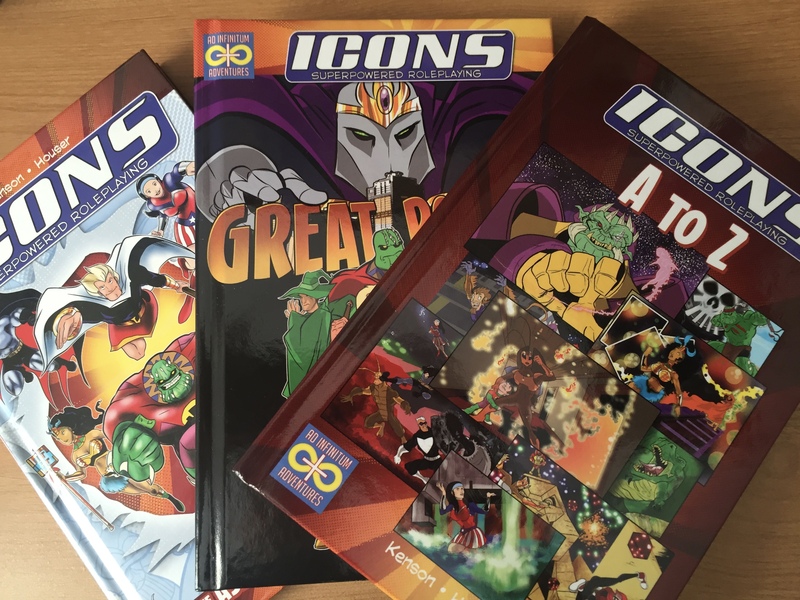 These and other Icons products are available from DriveThruRPG and RPGNow online, along with various third-party “Icons Compatible” adventures and sourcebooks. 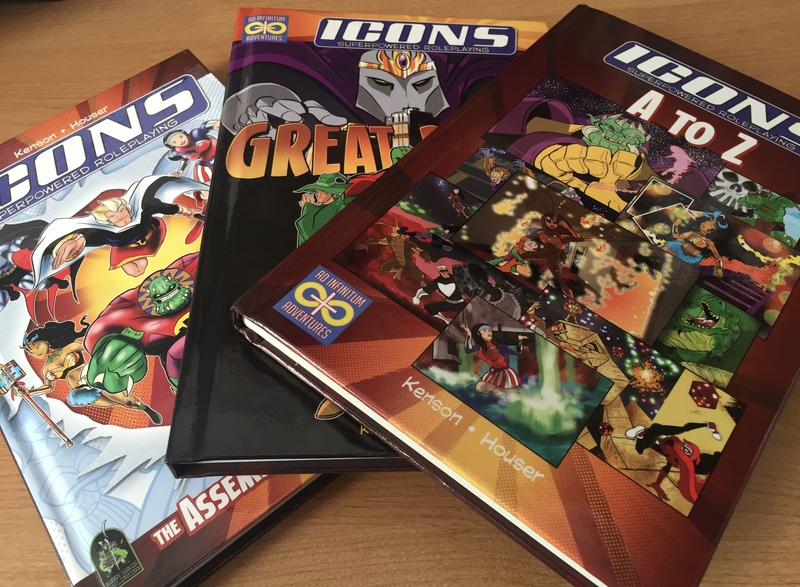 The Assembled Edition of Icons is available direct from Green Ronin Publishing and at fine game stores. This entry was posted in Publishing and tagged a to z, great power, hardcover, icons. Bookmark the permalink.